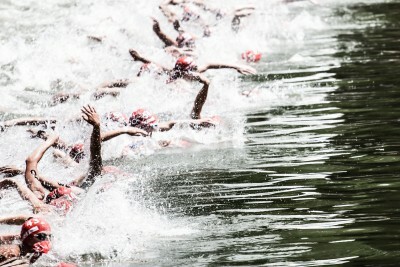 The sport of triathlon involves mastering three sports: swimming, cycling, and running. As age group athletes we often struggle to fit our training for different sports in with our jobs, families, school, and other life commitments. Sure, you can use a cookie-cutter program off the internet or book to get you across the finish line of your next race, but can that training plan adapt to your life when you have a sick child or have to work overtime? Having a triathlon coach not only takes out the guesswork of knowing if some cookie-cutter training program will get you across that finish line in one-piece, but also create a unique individualized training plan based on your current abilities, future goals, and life circumstances. As a coached athlete myself, I strongly believe in the power of individualized training plans created by a certified triathlon coach. Previously I trained via the cookie-cutter method. I saw some improvements as I progressed through my season, but I wasn’t getting the results I truly wanted. In 2012 I decided to hire a coach to work on my weakness… running. Through her guidance and coaching I saw rapid improvement in running and my overall fitness. I went on to have PRs in all my races that year. One of the biggest advantages of working with a coach is accountability. Previously with a cookie-cutter plan I didn’t have anyone checking in to see if I actually did my workouts during the week. Working with a coach made me accountable for my workouts and I saw rapid improvements because I put in the work. I am lucky that I have worked with some truly wonderful coaches over the years, which has inspired me to become a coach myself. I am the living proof that working with a coach will help you reach your goals faster and stronger. I believe that each athlete is a unique individual with different strengths and weaknesses and life circumstances. For an athlete to truly reach their full potential in the sport of triathlon a training plan must be tailored to their unique physiology, personality, goals, and life circumstances. When designing training plans for athletes I apply my knowledge and experience of sound and proven methods of developing athletic performance. I constantly stay up-to-date on the current research in the fitness and triathlon world (it helps that I’m a total science nerd). I take each clients individuals needs in consideration, such as time commitment, previous injuries, future race goals, etc. No two athletes will get the same training plan.